Disclosure: Acura Canada provided me with the 2018 TLX A-Spec Elite for a week to test drive, and photograph. All photos in this blog post was taken by me. Very good stopping scores because the A-Spec is equipped with larger tires! 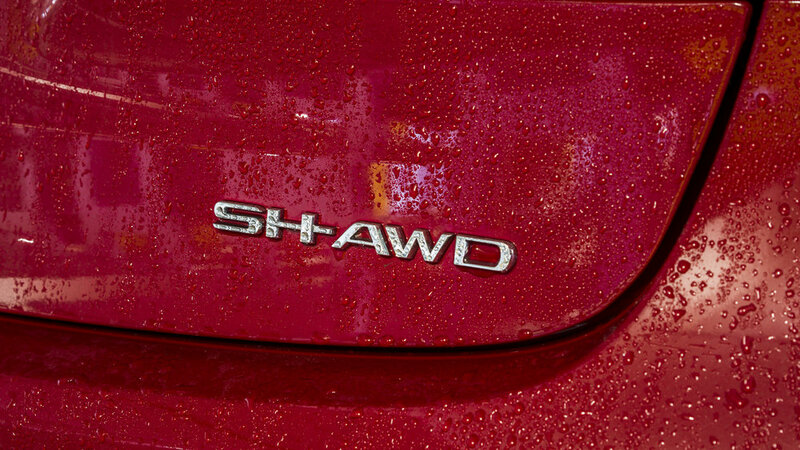 AWD systems helps to distribute the power to tires in a way to have optimal power for a 0-60 time. Very comfortable ride. It does a good job of absorbing road imperfections like pot holes, and speed bumps. 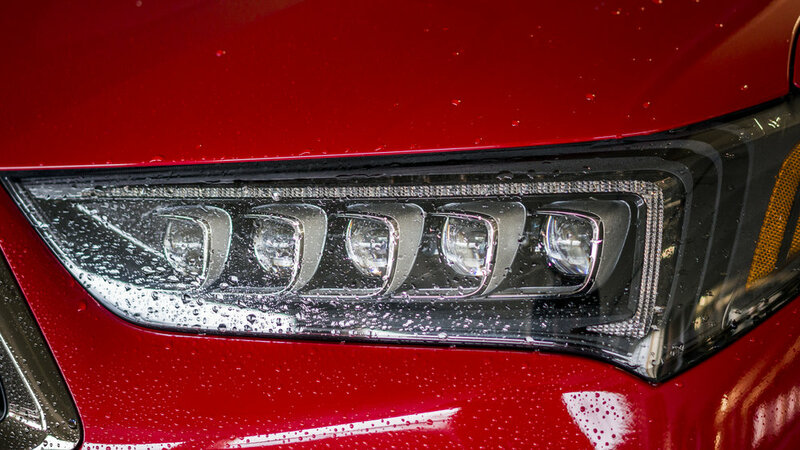 All new design language with the diamond shape grill with a large Acura logo that hides a radar adaptive cruise sensor. 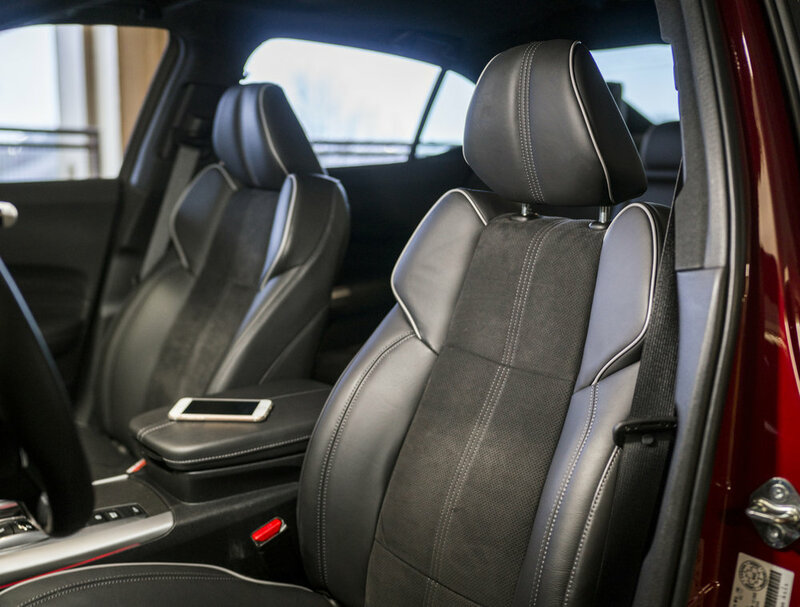 For a luxury car the driver seat does not have enough range of motion compared to it's competitors. Button style shifter to save space. Decent amount of leg and head room in the back seats. 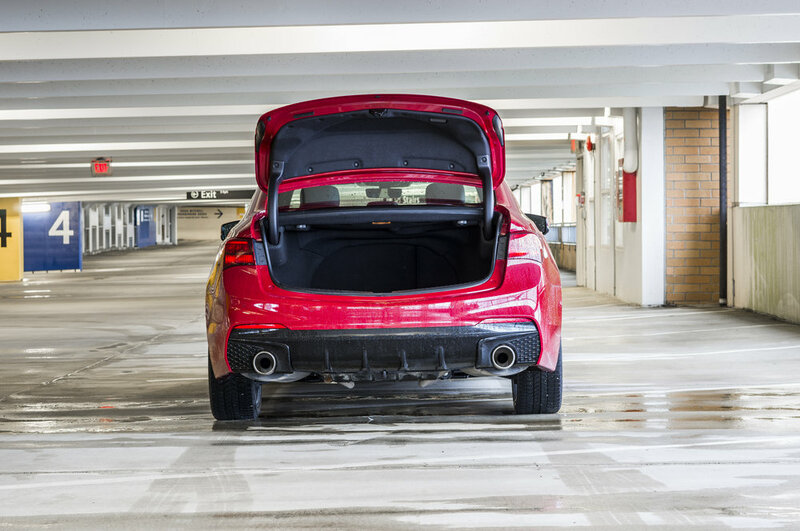 Above average trunk space in the compact luxury sedan category. The infotainment systems looks very dated and is in need of an update. 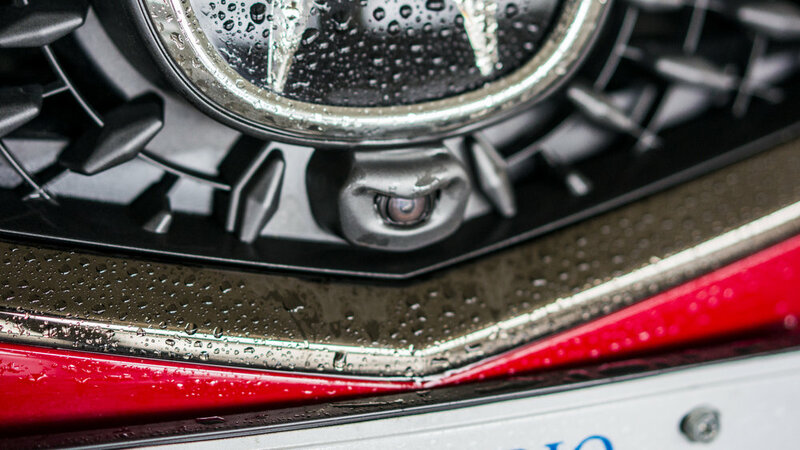 After recently testing out the Honda Accord, it has left me wondering what is Acura doing? The 2018 Acura TLX A-Spec is good if you're looking for something on the sportier and muscular side. I love the new front grill design and happy that it is a V6 vtec engine. The engine noise when the vtec kicks in puts a smile on my face! The car is fun to drive and very stable in the corners with it's "Super Handling" abilities. The thick steering wheel feels so good to grip. Overall the car is hot looking and fun to drive car. It really comes down to what you're looking for in a car; performance or luxury comfort? If you're looking for sheer power in this segment I think the Acura TLX and Infiniti Q50 would be up your alley. The Q50 offers much higher HP but it is considerably more expensive for the higher HP engines. Because of the Super Handling of the TLX I personally would prefer Acura between the two cars.